"For students to be successful in school, they first have to be in school." With that simple statement, Jessica Sprick and Randy Sprick launch a compelling case for prioritizing student attendance. 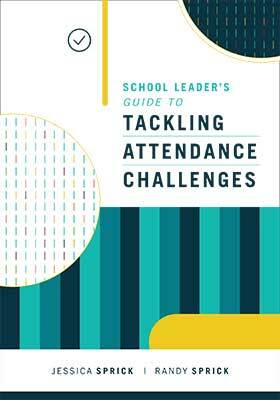 This comprehensive guide provides school and district-level administrators and teams with the background information, strategies, and tools needed to implement a multitiered approach to improving attendance and preventing chronic absence. The authors use the results of their work in schools throughout the United States to dispel the myth that educators have little control over student attendance and provide success stories from elementary and secondary schools that have reversed longstanding patterns of absenteeism. Build an effective school team to address absenteeism. Create systems to collect accurate data and set priorities. Develop an attendance initiative that generates student enthusiasm as well as staff, parent, and community support. Design and implement strategies that are tailored to specific schoolwide concerns and demographics that reach all students. Equipped with the information and tools presented in this book, educators can ensure wise use of staff and other resources—and create a culture of attendance that is the foundation of successful schools. This book is a copublication of ASCD and Ancora Publishing. Jessica Sprick has been a special education teacher for students with behavioral needs and dean of students at the middle school level. Her practical experience in schools drives her passion to help school and district staff develop and implement effective behavioral, academic, and attendance approaches. Randy Sprick has worked as a paraprofessional, a teacher, and a teacher trainer at the elementary and secondary levels. Author of widely read books on behavior and classroom management, Dr. Sprick is director of Safe & Civil Schools, a consulting company that provides professional development throughout the United States for teachers, administrators, and other school personnel.